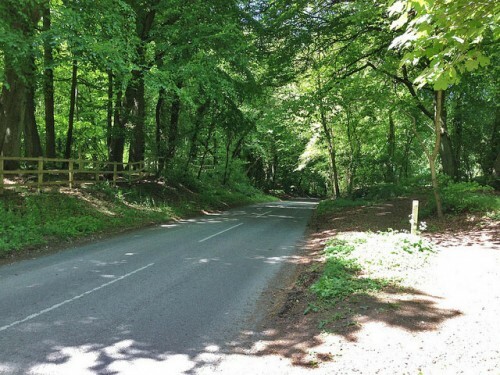 Whiteleaf is one of the hardest hills in Oxfordshire / Chilterns. 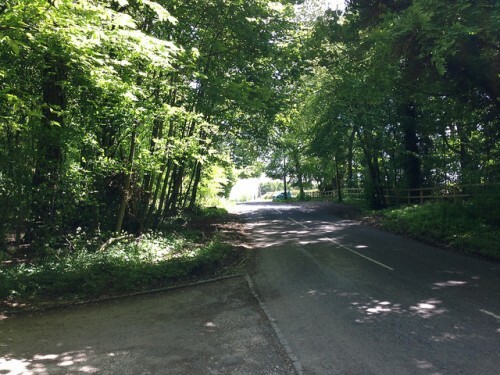 It is about 20 miles from Oxford and so has often become a good practise hill for training for the hill climb season. It has a variable gradient, with some real steep sections just after half way. With an average gradient of 10% it is good practise for the steep hills you often get in the north. It used to feature in the now defunct – Archer Grand Prix. It would make quite a good venue for an everesting attempt, because you can climb the distance in a relative short horizontal distance. There is a school at the bottom of the road, so it can get busy at school time with cars. However, the road is wide so it’s not too bad. Coming back down is a little tricky. After getting to the top, I did a u-turn and went back down. The descent is quite technical and so there is considerable braking. The road is quite quiet, though at the bottom on the flatter section, there were quite a few parked cars by the school. But, in the steeper section it’s quite quiet. After the first ascent and descent of Whiteleaf, I went back up and down. I managed 8 ascents in 55 minutes. 8 ascents of 126 metres was just over 1,000 metres. So 1,000 metres took 55 minutes. Sometimes, I really wish I lived in the Alps. 1,000 metres of steady climbing without having to go up and down short 17% gradients. It was a pretty hard effort. Because the climb is quite steep, it really works your lower back and shoulders. There is a lot of pulling on the bike. After 55 minutes of climbing, I had an average speed of 14mph for a rather difficult circuit. There was nice northerly tailwind to push me up the climb, though in the wooded section it is quite sheltered. It was quite a good training session. Basically 5 minutes of hard effort, with 2 minutes recovery. Probably quite good training for a 25 mile time trial. After 1 hour on Wheatleaf, I’d had enough of that hill and went onto some new climbs towards Amersham and Chesham. Chesham Underground station. It’s kind of interesting to go out for a ride in the hilly Chilterns and come across an outpost of the London underground. Chesham is part of the Metropolitan line. I guess the direct rail link to London has made Chesham a pretty desirable part of the world to live in. You can’t cycle around these parts without seeing huge opposition to HS2 everywhere. I wouldn’t really mind a train line through these parts of the world. For me it’s big speeding SUV’s which have damaged the environment and quality of life around these parts, not a train line. But, I didn’t stop to argue with the locals. I just bought some more water in a Chesham newsagent and made my way back home. A good 100 miles with 2,000 metres of climbing, including 1,000 metres up old Whiteleaf. I’m glad I didn’t end up in Cambridge. The Chiltern hills are definitely more fun than racing up and down the flat fens.